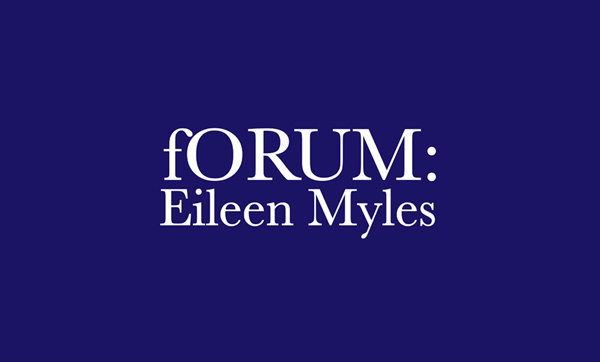 Mercer Union is delighted to partner with Toronto New School of Writing and BookThug to present a full length reading by poet and author Eileen Myles. Myles will be reading in celebration of the release of I Must Have Lived Twice: New and Selected Poems, and the rerelease of her novel Chelsea Girls. Poet Julie Joosten will join Eileen in conversation following the reading. Eileen Myles is the author of more than a dozen books of poetry, art journalism, and fiction. She has been the recipient of a Guggenheim fellowship, a Warhol/Creative Capital Grant and a 2014 Foundation for Contemporary Art Grant. She lives in New York. Julie Joosten is originally from Georgia but now lives in Toronto. She holds an MFA from the prestigious Iowa Writers Program and a PhD from Cornell University. She is the author of Light Light, which was shortlisted for the Governor General’s Award for Poetry in 2014. Books will be available for purchase courtesy of Book City. This event is presented as part of Mercer Union’s ongoing fORUM critical conversation series. fORUM is a monthly series of talks, lectures, interviews, screenings and performances at Mercer Union. Free as always.